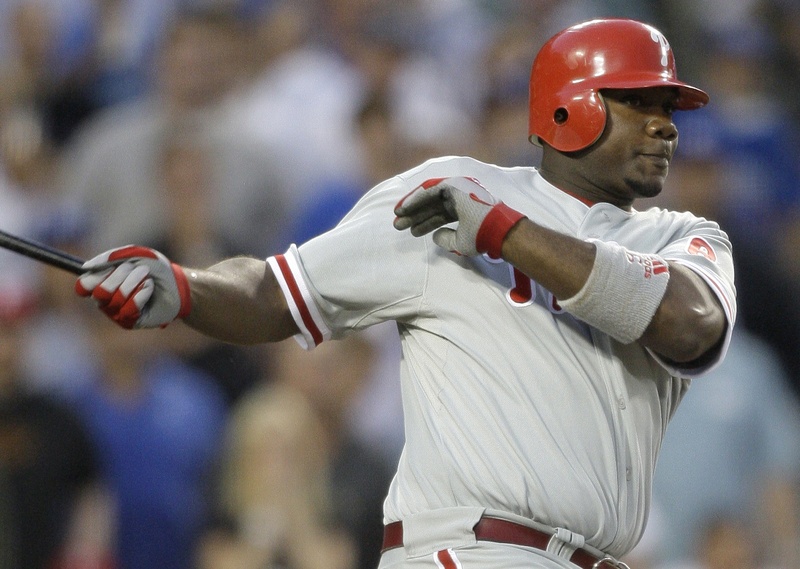 NEW YORK – Ryan Howard proposed a salary as prodigious as one of his home runs. The Philadelphia Phillies first baseman asked for $18 million in arbitration Tuesday, the third-highest figure submitted since the process began in 1974. Philadelphia offered $14 million to the 2006 National League MVP, who is not eligible for free agency until after the 2011 season. Howard had a major league-leading 48 homers and 146 RBIs last year, helping the Phillies win their first World Series title since 1980. Before the season, he was awarded $10 million in arbitration rather than Philadelphia’s $7 million offer. Houston pitcher Roger Clemens set the record for highest request in arbitration at $22 million in 2005. New York Yankees shortstop Derek Jeter is second at $18.5 million in 2001. Milwaukee first baseman Prince Fielder had the second-highest request this year at $8 million and was offered $6 million by the Brewers, who renewed his contract last year for $670,000. He had 34 homers and 102 RBIs as Milwaukee reached the playoffs for the first time since 1982, down from 50 homers and 119 RBIs in 2007. Colorado third baseman Garrett Atkins was third at $7.95 million. The Rockies offered a raise from $4.44 million to $6.65 million after he had 21 homers and 99 RBIs. Forty-two players reached one-year agreements Tuesday just before the exchange. Among them were Seattle left-hander Erik Bedard ($7.75 million), Pittsburgh first baseman Adam LaRoche ($7.05 million), Yankees outfielder Xavier Nady ($6.55 million) and Boston closer Jonathan Papelbon ($6.25 million). While 111 players filed for arbitration Thursday, just 46 exchanged figures with their teams. That group included Baltimore right fielder Nick Markakis, who has a tentative agreement on a $66 million, six-year deal. Yankees center fielder Melky Cabrera settled just after the swap, agreeing to a $1.4 million, one-year deal. Howard’s $4 million gap was the largest among players who exchanged figures with their teams. Tampa Bay and third baseman Willy Aybar had the smallest margin at $150,000, with the player asking for $1.05 million and the club offering $900,000. For cases that don’t settle, hearings will be scheduled for the first 21 days of February. Just eight of 110 players who filed last year went to hearings, and clubs won six. The average increase for those who filed last year was 120 percent.